On July 21st the Alibonus team introduced a new update, re-branding Alibonus as Megabonus and adding a lot of new cashback possibilities for other stores depending on where you live. Alibonus is a cashback service initially launched for the Russian community however it has been translated into English and as of recently you can also withdraw earnings using Paypal. After you make an account on the alibonus.com website you have to install the Firefox/Chrome plugin which when activated tracks your Aliexpress purchases through an affiliate link, in return earning you cashback for your purchases on Aliexpress. Alibonus gets paid when you purchase something on Aliexpress and then they share the commission with you from Aliexpress. All earnings are put on pending at first as Alibonus has to wait for those orders to be confirmed as received first then they receive their commission from Aliexpress and then you can finally withdraw your earnings. After confirming a few orders and waiting a while, I decided to cash out around $7 to test the service, I used PayPal for this as I cannot use any other methods as I’m not from Russia, after clicking withdraw the total time I had to wait before they sent me my payment was around 7 days. Starting May 31st 2017, Alibonus has lowered the max commission rate from 10% to 8.25% due to Aliexpress lowering the affiliate earnings, as a result all cashback websites had to lower the commission. The max rank is capped at 8.25% 10% cashback and can be reached by saving a total of $2584. This service is essential if you dropship from Aliexpress as you’d be throwing away extra money, just think about how many orders you process every month on average and then add 8.25% to that. This makes epnCashback good for one off purchases and Alibonus for all round usage and especially for dropshipping. Good review, but do you thing alibonus will scam when you have a lot money? What happen when you request payout 300$? good question, I am around $80 pending and $66 available for payout as I’m waiting for all my transactions to clear and I will then withdraw all my money (around $140) at once because paypal charges you per transaction, I will report back once that goes through, if you worry about large amounts you can always split up your balance into multiple, smaller payments. You should be able to reach 9% really fast and from then on getting to 9.5% and 10% will take a little bit longer. I use oberloo in my shopify shop. Is it possible to use ALibonus with Oberlo or an other system to have Cashback. I have so much order to make them without oberllo. It is indeed possible however Oberlo uses their own affiliate link for cashback and once you click to order using Oberlo it will break the Alibonus cashback cookie,you will have to order manually in order to get Alibonus working. What I usually do is open the product I want to order from Oberlo and then press the ‘Activate cashback’ button to activate my Alibonus cashback and then add the product to cart, now I understand that this will mean you will have to do more work but you get more money in the end, it’s up to you to decide. Do you mean you can’t click the “order product” from the Oberlo app? You open the product from Oberlo, then you need to fill in the address by yourself, and then save the Aliexpress Order number back to the Oberlo App? Yes that is correct, if you do that and use the semi-automatic fulfillment it will void the Alibonus cashback because Oberlo uses their own Aliexpress affiliate link, you have to find the product on Aliexpress and order it manually, however you can still click on the product in Oberlo to take you to the product page. what if i am CSV bulk drop ship? I place an order of a couple thousand dollars every other day and I feel like this could be considered abuse of their affiliate program.. I don’t think the amount of orders you make will have an impact on the service, however you mentioned that you order in bulk through a CSV which automatically is a no for the cashback service as you need to order manually on Aliexpress to get cashback. thx for an thorough walkthrue. I also use alibonus, but solely from an private-user-point of view, and just got my first payment from them, it was 6.50USD thrue paypal, and it delivered 5.88USD to the account and took 62cent (6.5-0.62=5.88) in fee, and was a little unsure if that fee was mandatory procent on the full amount, as to its around 10% in fee, but it seems to be half and half, so around 50% of the fee is mandatory-fee, so I will reckon thats why it will make sense to keep the payout as few as possible, unless you wanne tooggle thrue numerous fees. btw thx for the notice about epncashback, I was not familiar with that one, and are missing a cashback site for Gearbest as to all the others seems to have turn down there procentage quite a bit on Gearbest. when checking on epncashback it just says up to 5%, not what amount it really is, or if its item/catagory specific. Is epncashback the obvius choice for gearbest here as of 2 2017 and a user from scandinavia.DK. – as it was you that informed me about epncashback and spometimes it make sense to register as new user in regards to the person who promoted and will get some kickback from the new-user purchases and partically if its the same for who ewer register, so if you got a affiliate link or likewise, please state it. or are there any signup fees in in play at epncashback – and in lack of paypal-support are it just direcly pay’out to ones creditcard like mastercard etc.. 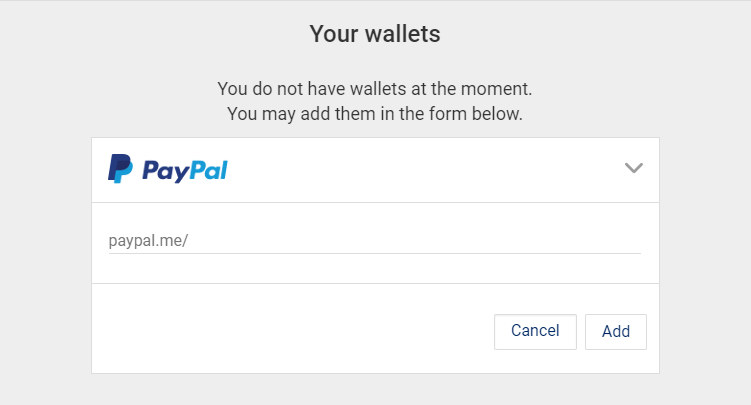 The fee is automatically taken out by PayPal every time you request a payout on Alibonus, what you said is correct that it’s best to reduce the number of payouts you request in order to minimize losses through PayPal. I don’t shop as much on Gearbest as I do on Aliexpress and I only know of epnCashback and Alibonus so I can’t recommend any other cashback services for Gearbest. epnCashback lacks PayPal withdrawals which is a little troublesome as you have to use some kind of third party services to route your money to your bank account, I think the best option is ePayments, if you want to register for epnCashback you can use my link here http://epngo.bz/cashback_index/u0mzur and there are no signup fees. Roger’that, and sure I have used your affiliate link to register.. the epn site also asked for an promocode, took a look around the web, and it seems to be a entry-reg-code, so you start at 10.5% or something down that line, but most of the analysing about epn-promocodes was in russian language, as to native epn region..most of them was about “epnbest2017” 10.5% and “epnspring2017” at 8%.. It refused to register the first times with the first one, but third time it did went thrue, but if changed anything, as to plain new user or not., cant tell. // arhh it seems it didnt and these is just some codes where you can get a deeper sitewide-discount at a given moment, and the first giving 10.5% (7days) been used in the useramount that was able, so thats not valid anymore, and the second epnspring2017 (that sadly are activated now on my account) and will run to 29/4, but that 2daylimit seems to be individel from activation, so would make sense to save it for an expected purchase. btw the Gearbest on epncashback seem to be at 4%, and the 5% was only relevant for socalled new gearbest-users. in regards to Gearbest there is also the cashbacksite called Yazing the ste 6% for Gearbest, but Im not fully familiar how Yazing works, as its not as simple as many of the others, in acount-overview and whats been gaining and ones purchase, and only tryed them on some small symbolic few dollars-orders at Gearbest here af few weeks ago and none of them stated in my overview at there site, so I wrote them off, but here a few days ago, i suddenly notice a small transfer of 0.25USD from Yazing, so somethiing had happen at my purchase some time back, and it was to my paypal – but from what and how and what and if it was 6%, not sure.. very pour user account tools on there site, but at the moment they list.6% at Gearbest. Do you have to confirm goods received on all orders to get your cashback? Yes you do, Aliexpress needs confirmation to release the funds to the seller before they pay Alibonus which pays you. I already signed up as an affiliate via portals.aliexpress.com. Sounds like this alibonus is a separate cashback program. Is it OK to sign up for both programs with the same account? I do not have complete knowledge of the Aliexpress Affiliate Terms of Service so you’ll have to double check, I don’t think both methods will work together as they both use affiliate cookies to track your orders and once you use one link you can’t use the other, If you do find a way though I don’t see how it would be against any rules to use both. In my experience you can’t do both portals.aliexpress.com and Alibunos. Can you please add more details on the commotion PayPal charges? Is it a fixed sum or does it chance based on the amount? Good point, I will add this to the post. hi i was wondering how to get money out ePN Cashback, is there anyway to do it or no? i tryed Webmoney but i can’t because they don’t work with US. i mean my US number doesn’t even work to register with them. and thats something they need to finish my account. Hm, in alibonus I have orders which were placed on MAY and confirmation of completed delivery order by Jun 30. Still no cashbak confirmation. I’m bit worried now I have more than 200$ pending. I tried this service in March and got my test 5$ cashback quite fast but now with bigger amounts it stuck. “The withdrawal of cash back to PayPal is in the test mode now; therefore, sometimes transfer operation can take a long time. At the moment we can’t affect it and speed up the process. Currently, PayPal payments are sent to processing twice a week. Usually it took 10 days to receive my payout on PayPal, my last 2 payouts have been delayed too, instead of waiting 10 days I had to wait 20+ so I suggest you just sit tight for now and wait. what is the name of the sender from megabunos to paypal? The name of the sender is Creativepoint Ltd.
“Currently,​ ​payments​ ​through​ ​PayPal​ ​have​ ​restrictions​ ​and​ ​we​ ​can​ ​not​ ​affect​ ​it. At​ ​the​ ​moment​ ​I​ ​can’t​ ​tell​ ​even​ ​approximate​ ​time​ ​for​ ​renewal​ ​PayPal​ ​payments. Now I’m trying to figure out what the best option is to get money paid into my bank account like I was able to with PayPal. The options are QIWI, WebMoney (WMZ or WMR), Yandex Money but it’s difficult to find if any offer that service, especially for my bank account in New Zealand. I’m not interested in virtual currencies, just want money I can get out of my ATM! Hey I’ve too noticed my recent payment has been pending for over 2 weeks now, thanks for the heads up I was going to contact them too. In the meantime I’ve created a WebMoney account which supports USD (WMZ) and I’m going to try withdraw money that way since they support bank accounts and the fee is only like 1.5%, I’m waiting for my account to get verified and hopefully I’ll be able to withdraw money using this method. I am waiting for my payment for 1 month now, I have over 500$ stuck there. I hope they won’t scam me. Did you withdraw using PayPal? PayPal payments are indefinitely unavailable and I had to email Megabonus to cancel my payout so I could use a different method, I had to make an account on https://www.wmtransfer.com/ and create a WMZ wallet which is equivalent to USD, after submitting pictures of my passport and also submitting a photo of my face next to my passport I was able to transfer my balance to my bank account via wire transfer. so wondering about a secondary option, and seems you have to make an bankaccount on some of the internet banks from that area. It aint a lot, around 35USD on megabonus and 45USD on EPNcashback..
tryed to validate just own mastercard-account, but it seem there is an limit at 100SD for payouts on EPN cashback when choosing mastercard. any recommendable online bank you can use on both of these cashback sites, so you dont have to send your passport and picture on to many different players for making acconts you dont really need, other then small cashback transfers from eastern europe CB sites. (also recall some option where you could just use the cashback values for further purchase on aliexpress??. Just a stupid biz these Mega (scammers) are running. They said Paypal transfer out is not available and they don’t know when it will be available. If you are doing a lot of biz on Aliexpress, don’t send these Megabonus scammers any more of your money until they sort out their Paypal issues and have Paypal payout option again. They get their cut but you don’t get yours, not fair. How are they scammers? Just use a different withdrawal method like I did using http://www.wmtransfer.com , I received my payout even faster than with PayPal. Meagabouns(Alibonus) scammed me $1240. They didnt pay out. After i contacted support and asked whats going on, since then i cant even login anymore. All sales came from dropshipping. Scam Compan! Paypal withdrawal method finally “came back”. But I’m still waiting 2 weeks to withdraw just $7 USD into my Paypal…..Ridiculous. I know someone who has still $1000+ lost forever. I advise everyone to avoid them. They even change my language in my browser to Russian whenever I go to Aliexpress! but today I notice that 6.47USD landed in my paypal and couldnt find where it arrived from, but it seem that its the old Megabonus payout 7.16USD (-0.69fee) from 21/7-17 there finally was processed today (not sure if that meens that Megabonus issues with paypal are gone, as i still got a 12USD from 9/10 hanging..
Sofare I have had 3 payouts from Megabonus out of 4..
12USD (still waiting, but pretty new from 9/10. (anyway just wanne to noted that they finally did process my old paypal claim from juli17..
How long the Megabonus will give confirmation, my account always say pending. Can they pay by paypal now ? It takes like 2-6 weeks usually, I think PayPal might be available again, I have been using WebMoney instead for a while now. When I try to apply Web money, do I have to pay some cost like message to service centre or something like that ? After I confirmed to receive parcel, what else can I do to get this Cash back on my account? Or I have just to wait until it is coming from alone? i send message to the customer service of Megabonus, but nobody answer. You have to wait as it takes time after you confirm. I have been dropshipping from Aliexpress and banggood 4 months and found this idea of cashback very essensial for every dropshipper. I will open an account and try it, hopefully to save some money. Thank you for detailed information about the Alibonus.